Because it is essential to the success of your company to rank well on Google, it is important to follow the Google Webmaster Guidelines. But because a lot of webmasters in the past had abused their power and not followed the Guidelines, Google came out with the Google Penguin update. What is the Google Penguin update? 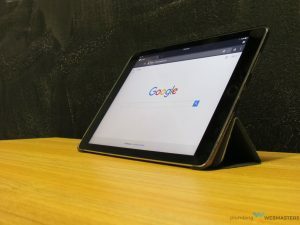 The update was put in place by Google so that they were able to track and penalize websites who were using link schemes for higher rankings, thus going against the rules of the Google Webmaster Guidelines. The Google Penguin Update for Plumbers Ensures You Follow Google Webmaster Guidelines. Since its inception in 2011, it has been updated seven times, with the seventh update focusing on being more page-specific and targeting spammy websites immediately. Because Google Penguin is such a big player in Google algorithms, it’s important to follow Google Penguin updates in order to keep your website from being penalized. Fortunately, the Plumbing Webmasters search engine optimization experts, are here to provide Google Penguin update for plumbers. By following all the updates from Google Penguin, we can ensure you have better Google search engine optimization and continued online visibility. What are you waiting for? Call us today at (877) 388-9884 for Google Penguin update for plumbers. Because we don’t ever want your plumbing company website to be penalized by Google, the Google Penguin update for plumbers is crucial to follow. Since the Plumbing Webmasters have years of plumbing SEO and online marketing experience, we adhere to a few steps in order to tell if your plumbing company website has been penalized by Google Penguin. Use Google Search Console: Google Search Console is a great tool to see if your web pages are optimizing, and it’s a nice tool to have because they will send you a warning if you have been penalized by going against Google Webmaster Guidelines. 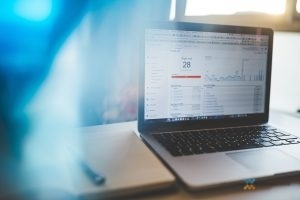 Monitor Google Analytics: Using Google Analytics can determine if there has been a decrease in customer traffic to your website. From there we can determine if a drop in rankings is a Google Penguin update penalty or something else. Check Online Keyword Ranking: There are usually certain keywords that are utilized in order to rank pages in the search engines. We will check to see if these particular keywords have decreased in value on Google search engines. While we have these steps in place in case of Google Penguin penalties, we never enlist deceptive practices that could jeopardize the reputation and ranking of your plumbing company website. We make it our mission to provide organic SEO results by following the Google Webmasters Guidelines and staying on top of the Google Penguin update for plumbers. When we adopt these steps in your SEO strategy, we are able to keep your plumbing website away from Google penalties caused by the Google Penguin algorithm. Want to work with the Plumbing Webmasters to guarantee you don’t get penalized online? Call us at (877) 388-9884 for a company who stays informed on Google Penguin update for plumbers. Because Google Penguin was developed to stop websites from using link schemes, it is important to abide by ethical link building strategies. But how is that possible after the introduction to Google Penguin? At the Plumbing Webmasters, our link-building services are able to create links and link building strategies that follow Google Webmaster Guidelines. Links that are relevant to the content. Engage with your customers through social media and comments. Perform an analysis of backlinks. Ensure your NAP (name, address, and phone number) on quality online directories. Making sure that links in web pages are linking back to other pages on your website. The Plumbing Webmasters Link Building Strategies Are In Line With Google Webmasters Guidelines. With our link building strategies that follow Google Webmaster Guidelines, we can make sure your site is never penalized because of Google Penguin updates. Our Google Penguin update for plumbers is a part of our Google algorithms and penalty recovery services to ensure you never have to deal with your website not ranking in Google search engine. If you want an online marketing and SEO company who focuses on ethical SEO practices, call us today at (877) 388-9884 for Google Penguin update for plumbers.